officialhpstore has no other items for sale. as described. Crazy FAST shipping!!!! Excellent!!! This is the type of ink cartridge that my printer uses. I do choose to use the HP61 for one reason, I have an HP printer. I feel it is a very good product and lasts a decent amount of time. 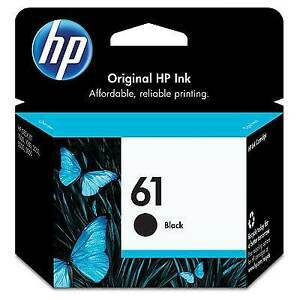 As with any type of ink, it all depends on how many items you need to print. Provides a good quality print and is compatible with my printer. Nothing bad about this ink. It's the right one for my printer. It's good ink. You can tell the cartridge is a genuine HP product. It works perfectly in my printer.